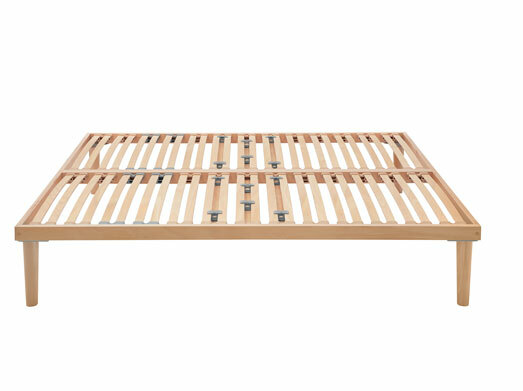 Forest, in 100% FSC® timber, is a member of the wide Dorsal anatomical bed-bases that combine cutting edge technology production processes with artisan craftsmanship, paying special attention to sustainability, environment and human values. 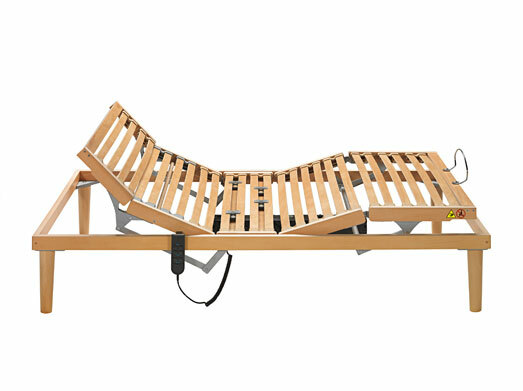 Customise your comfort: Adjustable tensioner sliders make it possible to customise the elasticity of the lumbar area for each individual’s needs. 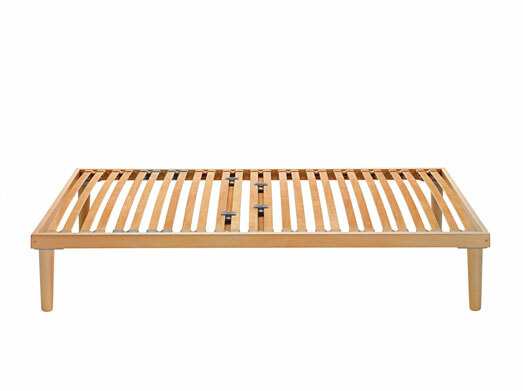 Ergonomically comfortable with twin slats that are fitted into strong flexible suspensions that adapt to body weight and body figure. Where shoulders rest, the suspensions are softer and designed to assist side sleepers and reduce neck and shoulder pressure. The quality of the dove-tail patented corner joints guarantees solidity but also a good look. Side caps to conceal screws, complete Dorsal’s attention to details. 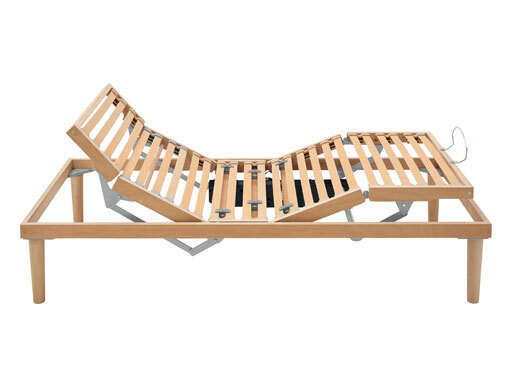 Queen and King versions with a standard central reinforcing leg of the anatomical bed-bases in sustainable wood. 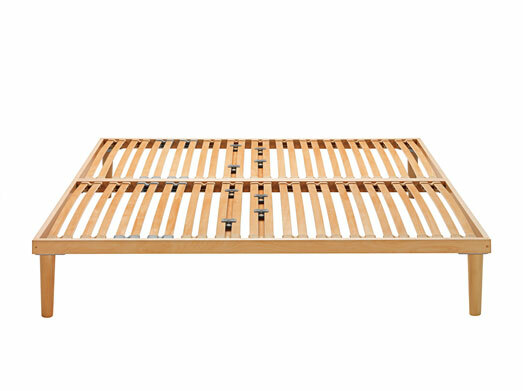 Single version of the anatomical bed-base that combine cutting edge technology production processes with artisan craftsmanship, paying special attention to sustainability, environment and human values. FSC® is a certification that guarantees the use in production processes of timber from sustainable forests, responsibly managed, in terms of environmental, social and economical issues. The FSC® label on products is an assurance of transparency which makes you, better aware of the choice you are making, more responsible in your purchases, as well as providing the necessary link between forests and consumers. Dorsal’s will to inform consumers of the true origins of its raw materials, has led us to subscribe to the two main forest certification standards used internationally, FSC® (Forest Stewardship Council®) and PEFC™ (Programme for Endorsement of Forest Certification). In nature all substances circulate, are transformed and in the end re-absorbed or reused. 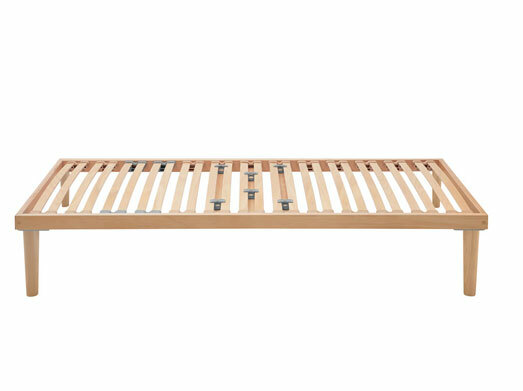 Imitating this natural cycle, Forest slatted-bed bases can also be dismantled, recycled and re-used (cradle to cradle). Dorsal has always been careful to protect people’s health and for this reason uses only certified raw materials, ensuring rigorous observance of the limits established for formaldehyde emissions from wood-based panels. In addition only glues without chlorine are used throughout the production process.